As a top marketing agency in the Pittsburgh area, we know our way around! 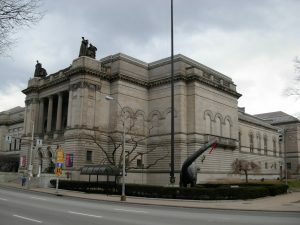 If you are going to Pittsburgh, PA there are a number of museums that you can visit. Each museum offers a different experience and content. Pittsburgh offers a range of art, natural history and sport museums to suit any taste. The Carnegie museum of natural history offers a wide range of different exhibitions. Some of the exhibitions focus on anthropology, others on wildlife and others on earth sciences. This ensures that all visitors are able to find exhibitions that suit their interests. One of the primary exhibitions, that any visitor should see is the PaleoLab. The PaleoLab is the home of Samson, the name given to the Tyrannosaurus Rex fossil. Alongside Samson is one of the largest collections of fossils in the world. After the PaleoLab there is the popular polar world hall which includes a replica igloo which you can walk into. A family with children often find it hard to visit museums in any city. This is due to the fact that most children are not as excited as their parents about what a museum offers. Pittsburgh has the solution to this problem in the Children’s Museum. This museum offers a number of hands-on exhibits which engage children and their parents. There are live performances to help children understand what the museum offers as well as storytelling, workshops and parties. There is also the 2 story Kids’ Climber which is a hit with most families. Viewing museums is never complete until you go to the art museum. The Carnegie Museum of Art was started in 1896 by Andrew Carnegie. The first collection offered a range of different works which have only expanded over the years. The galleries of the museum offer works by renowned artists such as Van Gogh, Hopper and Degas. However, this does not mean that the museum only offers these classic works. Some of the more recent exhibitions offer video displays and photography. For people who love classic sculpture, there are galleries offering marble works. These marble works are housed in a hall modeled after the Pantheon. The admission price is included in the price for the Carnegie Museum of Natural History. If you are looking for a slightly different museum experience then the Nationality Rooms are the best choice. Housed in the Cathedral of Learning in the University of Pittsburgh, the Nationality Rooms consist of 26 rooms full of artifacts and furnishings. Each of the rooms represents a different cultural background and ethnic group. It is not only these rooms that are impressive but also the Gothic-style cathedral that they are housed in. The cathedral has a steel frame which is concealed by limestone from Indiana. The whole building stands at 535 feet or 42 stories. Science museums are another staple of any museum tour and this mammoth museum is a must see. 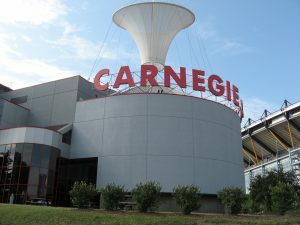 The Carnegie Science Centre covers 40,000 square feet and offers a range of different science-related exhibitions. In the center are over 250 interactive exhibitions and a health-science center. It is not only the exhibitions like the miniature railroad, the USS Requin (a WW2 submarine) and the planetarium that admission covers. You will also be able to check the UPMC SportsWorks and the XPLOR store. If you are going to visit Pittsburgh PA viewing their museums is a must. There are a number of Carnegie museums such as the Natural History Museum, the Art Museum and the Science Centre. There are a number of other museums that you need to consider when in the city. Give these other posts a read!